Raspberry Pi – More Than a Baked Dessert! Released at the end of February 2012 by the Raspberry Pi Foundation, the Raspberry Pi is a credit card sized single-board computer originally intended to stimulate the teaching of basic computer programming in schools. However the uses for this inexpensive computer will undoubtedly be constrained only by peoples’ imagination. But how will this non-edible Pi affect you and me and are there any other benefits that can be gained from actually owning one? We had to find out and our curiosity got the better of us so we immediately put ourselves down on the ever growing waiting list to get our hands on one. Out of the blue, almost forgotten, our Raspberry Pi finally arrived in July. The actual single-board computer only costs around £22 but you will need some additional parts to get it up and running. With a suitable power supply, memory card, keyboard, mouse and cable to connect it to your TV the total cost is around the £50 mark. Still very reasonable when you consider this is a brand new fully operational computer. Software can be also downloaded from the main company website and many versions are available to make your Raspberry Pi to your desired flavour. There are software downloads to make the Raspberry Pi a media centre PC; playing your favourite downloaded movies in full HD, there are images to make it into an office desktop and of course lots of different images to get children and adults into programming and learning about computers which of course was the original intention when it was being developed. All these uses are extremely beneficial to some people but what about to those individuals on a budget? Maybe they too would like to take advantage of the web but have not been in a position to do so due to the cost of a new computer. Well this just may be the thing they are looking for. 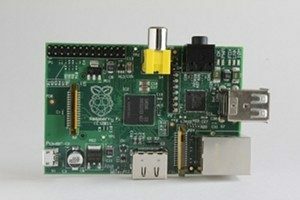 As the Raspberry Pi is a fully functional computer, software is available to turn this into a standard desktop computer with software which can enable you to write letters, browse the Internet, create presentations and edit your photographs most of which is available free of charge. So now with your £50 computer and maybe even a free Internet connection from the likes of Sky if you have a subscription, you can now participate online; make savings with online purchases, sharing family photographs, ordering tickets, receiving email and invitations from distant family and friends, keeping in touch with people with free video calling or simply using it to take up a new hobby like programming your new toy to do something new. With a Raspberry Pi connected to the Internet, now everyone can take advantage of being connected and of the savings that can be made. Or maybe it could provide your child with a computer to do their homework or indeed for any other use your imagination may dream up. Although it has limited capability and still has a little way to go to make it ready for ordinary people to just unbox and use, with the development that is planned including the ability to install the Google Android Operating System (making it similar to modern tablets and smartphones) this could open up a world of new opportunities to people. If this is something that interests you or you have any IT issues or problems that need to be looked at, why not get in touch with us at Magikos IT and see if we can help. You can click the button below or find all our contact details on our ‘Contact Us’ web page.